IPhone users love to brag about their phones. They line up around the block and stand in line for hours when a new one is released. Yet, for many users, Android is clearly the superior platform. Yes, its Achilles' heel is a big one: security. Android's openness and large market share mean that it's a juicy target for attackers. Yet, Android's openness also provides serious benefits. It allows for more customization; its apps are usually cheaper and various handset manufacturers are able to offer significantly different form factors, such as the smartphone-tablet hybrid, the Samsung Galaxy Note. 1. Get a better browser. One of the major benefits of using the popular browser Opera Mini is that its cloud engine compresses data by as much as 90%. 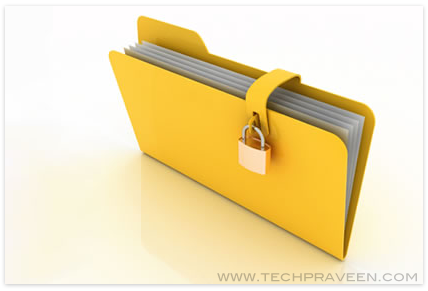 It features tabbed browsing, support for widgets and the ability to set advanced privacy features, such as the ability to automatically clear passwords, cookies and browsing history. The advantage for Android users: the ability to use Opera Mobile instead of Opera Mini. Opera Mobile supports Flash and 3D graphics, has an HTML 5 engine and has a device-side web rendering engine for higher fidelity browsing. You can set up the rendering engine to work locally when on a Wi-Fi network and default to the cloud-based rendering engine when on a 3G or 4G network to minimize expensive data usage (if you're not on an all-you-can-eat data plan). It also allows you to access your camera from your browser. Expect cool new widgets to start using this feature soon. 2. Install an Android optimizer. 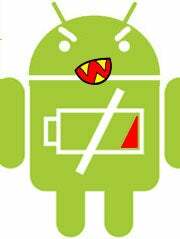 Apps like Android Booster and Android Assistant give you the power to automatically kill apps that run in the background, gobbling up battery life and draining CPU. You can set a monthly data limit and monitor exactly how much data you've downloaded over 3G and 4G networks, and you can purge your cache, history, etc. Nothing slows you down more than a dead battery. One advantage Android phones have over iPhones is that you can swap out your battery. But proper power management can save you from that trouble. Apps like JuiceDefender and Battery Stretch help you regulate your power use. With more than 7 million downloads, JuiceDefender is the most popular of these apps. It offers three different profiles: "Balanced," "Aggressive" or "Extreme." The Balanced setting is the default and requires no configuration on your part. If you bump it up to "Aggressive," the app will automatically disable data connections when the battery is low. If you're really worried about a dead battery, the "Extreme" setting disables data connections by default. You can turn them back on manually, and you are able to whitelist apps that you want to have connectivity. 4. Dig deeper into which apps hog data. If you constantly go over your data limits, an app like Android Assistant may not be enough. Sure, you will be alerted when you are nearing your limit, but what exactly is causing the problem? Is it Facebook, podcasting software, the MLB Gameday app? Who knows? You'll also discover the apps that go online even when they haven't been launched. Don't be surprised to see that many games do this, so if you haven't played them in a while, you might want to get rid of them. Otherwise, those free Android games may end up costing you money if they push you over your data limit. For international travelers, Onavo can help you avoid (or limit) costly data roaming charges. So you've signed up for an expensive all-you-can-eat data plan, yet when you try to tether your laptop to your phone to use that 4G connection you paid a premium for, you are stymied. Carriers will try to charge you $20 or $30 a month for tethering privileges, meaning they're trying to charge you twice for network access that you've really already purchased. For most people, this is more of a nuisance than anything. Wi-Fi is available everywhere, but if you are using your laptop for business, wouldn't it be smarter to stay on a 4G network rather than connecting to an open Wi-Fi one? 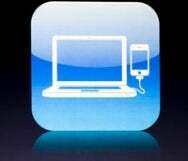 On iPhone, tethering is a no-go. On Android, tethering may technically violate your user license, but you can do it, and you no longer need to root your phone. Apps like Clockworkmod's Tether will have you up and running in a few minutes. Tether isn't a free app, but at $4.99, one stay in a hotel that still charges for Wi-Fi will make this app a no-brainer. 6. Pick your own keyboard. Siri has been getting all kinds of press lately, and, sure, it can be amusing to try to get Siri to say off-color things. Yet, when I'm using data on my phone, I prefer text-based input. Many Android phones come with Swype pre-loaded, but it's not usually the default keyboard. Just press any text entry area for a few seconds and a menu will pop up. Select "Input method" and then choose "Swype." That's it. I used to avoid texting like the plague because I hated entering data on my phone. That all changed with Swype, which lets you drag your finger across the screen from letter to letter. Its predictive engine figures out what word you are going for (it gets better the more you use it), and you just keep chugging along. I can't Swype as fast as I type, but I'm a fast typist. Scroll around the Inter-webs a bit, and you'll find plenty of people claiming to achieve 40 or 50 words per minute with Swype. And now that Swype has been acquired by Nuance, you should have even more input options coming your way soon. 7. Turn on screen lock, but don't use a pattern. The easiest screen unlocking method is to trace a pattern on your screen. It's easier and more convenient than entering a PIN or password. However, if you lose your phone or it is stolen, you better hope you just cleaned your screen. The oil on your finger will leave a distinct pattern on your screen. Unless you wipe it down religiously after each unlocking, the pattern lock will only deter the stupidest criminals. Why have you not done this already? 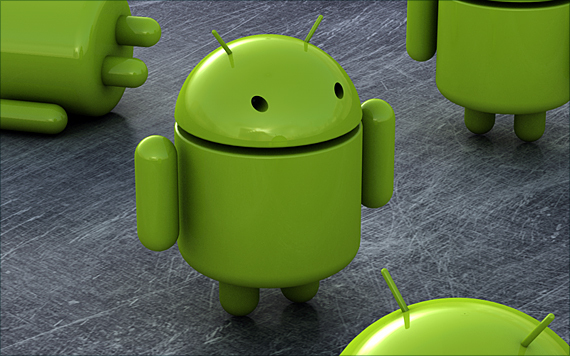 Malware writers are flocking to Android. We're seeing much of what happened in the desktop world being repeated with smartphones. Android is more open, has a larger market share and is a juicer target. IPhone is a closed ecosystem and may eventually, like Mac, benefit from security through obscurity (though I doubt iPhone will ever shrink to Mac-like numbers). For iPhone users, this is good-news, bad-news scenario. Yes, Apple does more to lock down apps and prevent third-party software from exploiting key system resources, but you are trusting one company for your security. If Apple screws up, all iPhone users are in trouble. Exhibit A: the Path privacy fiasco. Android, on the other hand, may be less secure due to its openness, but it's welcoming to third-party security tools. There's no excuse not to have anti-virus software on your phone. There are plenty of free options, such as Lookout, and with a simple download, you can significantly reduce your risks. Most of these antivirus apps also allow you to remotely lock and wipe your phone if it is lost or stolen, and some even allow you to set off an obnoxious alarm, which will either help you find the device if its tucked behind a couch cushion or convince a thief to toss it. Of course, we'd like to see handset OEMs and the carriers bake antivirus into their various Android versions. It's a simple step that would benefit them, carriers especially, saving bandwidth, protecting against fraudulent charges and so on. We would also like to see carriers adopt network-based mobile malware scanning, such as the solution from Kindsight Security Labs. 9. Stay away from App Stores you do not know. Google has taken steps to tame the Wild West that was its Market. It now has a "Bouncer" that scans the Market for malware, and despite what Apple apologists may claim, Android was designed from the get-go to make malware less disruptive on phones than it is on PCs by sandboxing apps and forcing apps to ask for permissions (yes, the same permissions that everyone just ignores, but at least they tried). The trouble is that Android users can download apps anywhere. Don't be lured into doing this. If you aren't using Android Market, make sure you are in a store you know and trust, such as Amazon. Most Android models come with the default setting that doesn't allow you to download apps from "unknown sources." If you've fallen for social-engineering attacks in the past, it's best to leave that box checked. When you download an app, try to get into the practice of checking permissions. If a game wants to send out SMS messages, for instance, that should be a red flag. 10. Stay away from mobile payments. Mobile payments are starting to take off, especially in Europe and Asia, and consumers should be wary. The problem with mobile payments is that they are often simply added to your mobile phone bill, and if you find a suspicious charge, your liability will vary from carrier to carrier. In contrast, if a hacker gets your credit card number and goes on a spending spree, under federal law, your maximum liability for credit card fraud is $50. In other words, credit card fraud is not your problem, it's the bank's. Until you have that level of protection for mobile payments, it's probably smarter and safer to stick with the credit card. Based in Santa Monica, Calif., Jeff Vance is the founder of Sandstorm Media, a copywriting and content marketing firm. He regularly contributes stories about emerging technologies to this publication and many others. If you have ideas for future articles, contact him at jeff@sandstormmedia.net or http://twitter.com/JWVance. How to increase the computer speed using msconfig utility? How to add Hotmail and Live Email Accounts to Outlook 2010?